Wilton’s is between Wapping and Whitechapel, close to the historic Tower of London and St Katherine Docks. 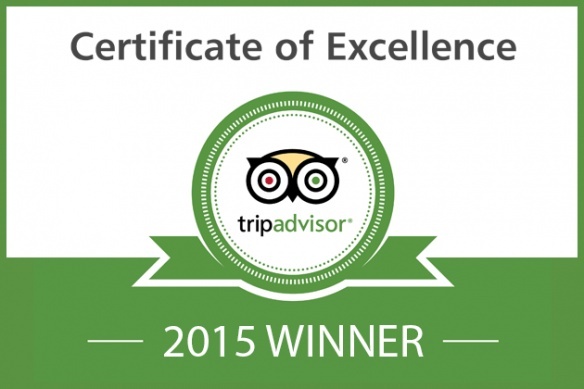 For the Spring half-term holiday (Tuesday 31st May - Saturday 4th June) we are open at midday. Please note the bar will be closed on some summer Saturdays due to private hire. Check the calendar on the What's On page to find out more. Food: See our Eat + Drink page for up to date information. John Wilton Room: Monday to Friday 11am-6pm, closed Saturday and Sunday. On show days the kitchen and dining spaces get very busy from around 1 hour prior to show time. We recommend arriving early (i.e. between 5pm and 6pm for a 7.30pm show time). That way you'll be able to relax and enjoy your food with plenty of time before the show begins. Please note the building is occasionally closed due to private hire. Well behaved dogs are welcome in our bars, but only assistance dogs are allowed into performances in the auditorium. For information on all local bus routes, trains and tubes, we recommend using Travel for London's Journey Planner using the link below. Our closest tube stations are Tower Hill (Zone 1), Aldgate East (Zone 1) and Shadwell (Zone 2). Our closest rail station is Fenchurch Street. Leave by the main exit and turn left. Walk past the Roman wall and cross Minories Street at the traffic lights. You will be at the front of the Société Général building and at the entrance to Shorter Street, which you should follow to another set of traffic lights where you cross straight over into Royal Mint Street. 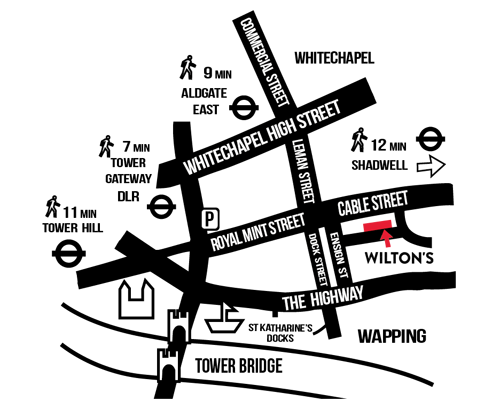 Follow Royal Mint Street beyond where it crosses Dock Street and becomes Cable Street. You will soon see the signpost for Wilton’s at the entrance to Ensign Street on your right. Then turn immediately left into Graces Alley. Take the exit on Cable Street or follow the street signs to it and turn right (walking towards the city). Walk along Cable Street for approximately 10 minutes before turning left into Fletcher Street and following it round onto Graces Alley. Take the Leman Street exit from the station and turn immediately right. Walk the full length of Leman Street (towards the river) until it passes under the DLR railway line and meets Cable Street. If you look to your left and across to the other side of Cable Street, you will see the entrance to Ensign Street and a signpost to Wilton’s. Cross over Cable Street and follow the sign, turning left off Ensign Street into Graces Alley. If you are arriving by taxi, the driver can stop at either end of Graces Alley in Ensign or Fletcher Street - the latter is a little closer to our front door. Wilton’s recommended local taxi company is East One Cars 020 7790 7222. If you are driving, you should be aware that there is very limited parking in Ensign and surrounding streets with a permit scheme in some streets by day but this does not operate after 5.30pm on weekdays or at weekends. There is a public car park on the corner of Mansell Street and Shorter Street. Please also be aware that a one-way system operates in this area and it is not possible to turn into Ensign Street from Cable Street. Cars can only travel up Ensign Street from the southern end at The Highway north to Cable Street.